I’ve been looking forward to GenCon for months and now it’s just around the corner. In honor of the convention (and because the nerd in me is fighting to get out) I have decided to knit a special project in honor of the convention. Oh my stars and Tardises! 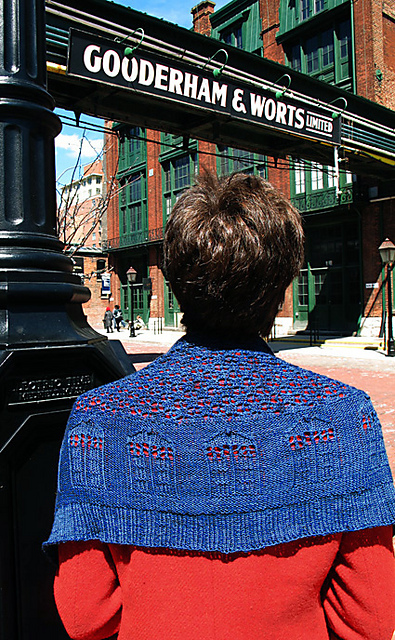 This is a Knitty pattern–available for free! Yoink! My local yarn shop doesn’t carry Lorna’s Laces (as the original pattern calls for), so I’ll be knitting it in a very similar hue of Cascade Heritage sock yarn. Drop spindle beginners class – I get to learn how, finally. Only $22 to take this two hour class, and I don’t have to bring any of my own materials. Plus, I get to keep the spindle. 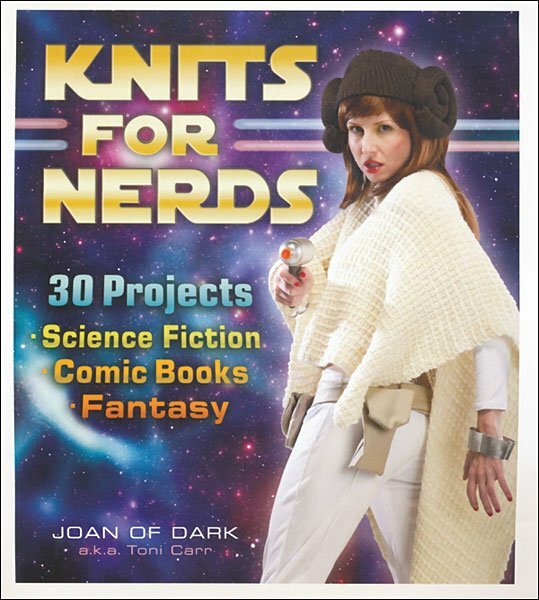 A seminar with Joan of Dark, the author of Knits for Nerds – I’m looking forward to hearing her talk about what inspires her and what sort of response she has gotten from her recent book. I’ve seen it at Barnes and Noble, so it must be doing well. I wonder if I’ll see any other knitters at the convention wearing their Bigger on the Inside shawls. Or perhaps one of these patterns from the book. Like this Aim To Misbehave browncoat. 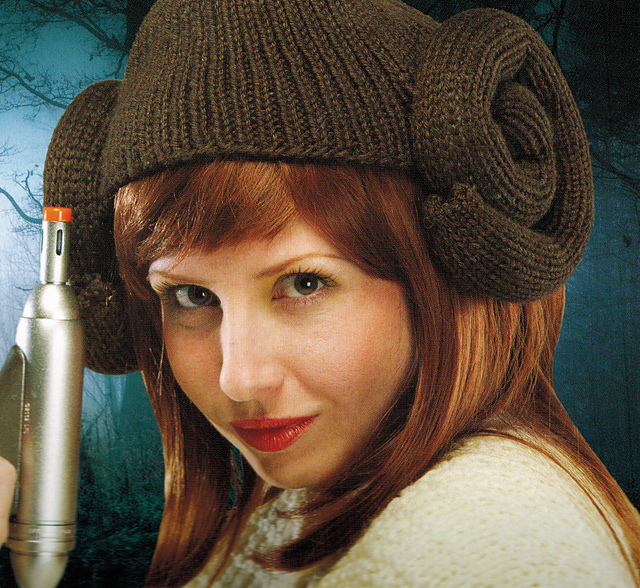 As seen in Knits of Nerds and on Ravelry. Or this Space Princess Hat. As seen in Knits for Nerds and on Ravelry. I knit because I enjoy tunrnig beautiful yarn into garments and other items. There is nothing better than taking pretty string and two needles and ending up with a beautiful lace shawl or a snazzy pair of socks. What a way to bright up a day! I’d love to knit galzilion items in these colorways. The fun thing is how knitting has become a large piece of my life since discovering Ravelry, and without Ravelry I wouldn’t have ever heard of Yarn Love as I’m living in Norway and no retailers cary YL-yarn here. And those colorways would make any knitting special! I’m on my fifth repeat of the first lace section. And yeah, I know what you mean. Although I’ve definitely had more boring lace projects before.